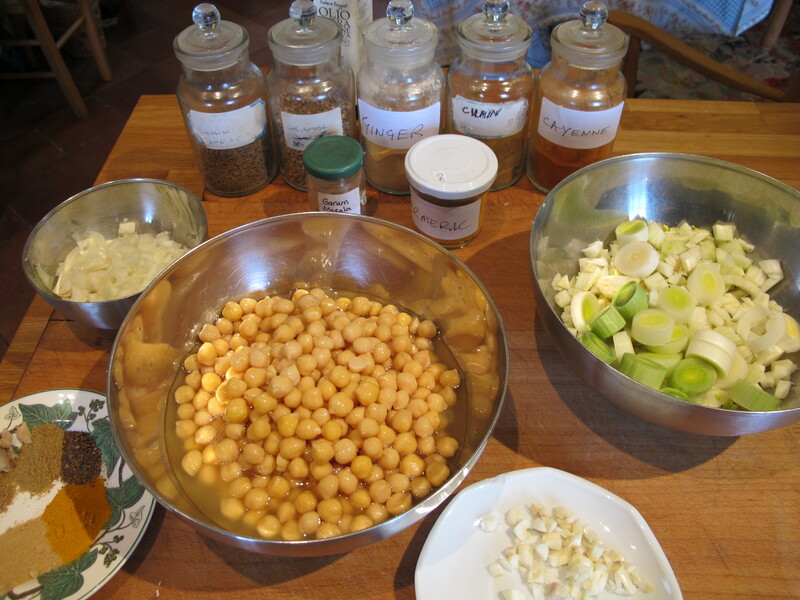 Our friend Julie put me onto this recipe–which originated from Jocelyn Dimbleby. 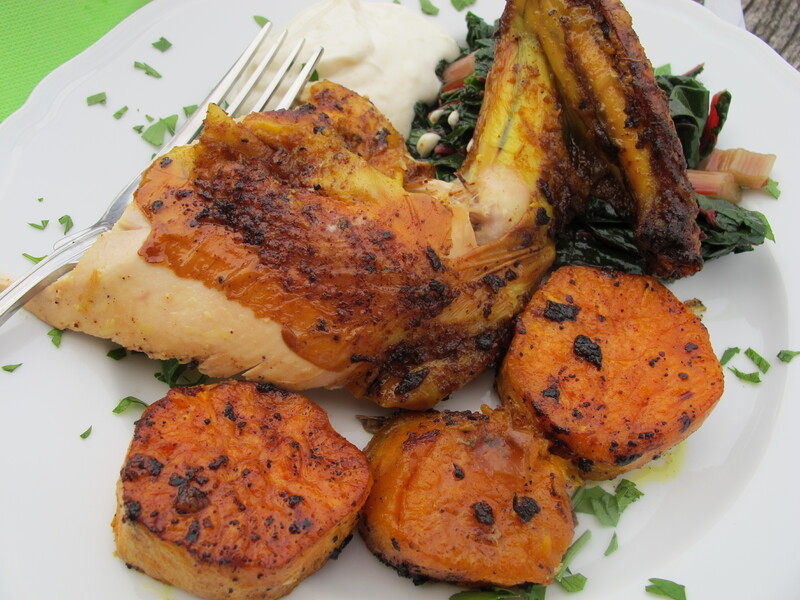 slices of peeled sweet potato roasted with the chicken for its last half hour in the oven. 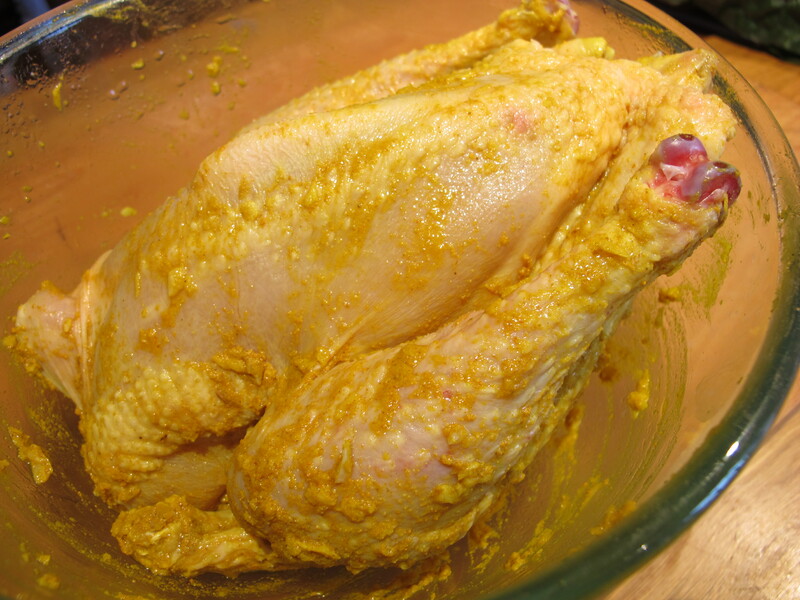 The marinade has the spices turmeric and cumin whose anti-inflammatory and antioxident qualities are a plus for diabetics. The smell wafts through the kitchen and whets the appetite. Marinade the bird for a few hours in the fridge and roast it for an hour and a quarter. Mix the marinade ingredients in a small bowl. Put the chicken in a large bowl and pour/brush/smooth over the marinade. Turn the bird in the marinade. Leave for a few hours–covered–in the fridge. Sprinkle some salt over the bird. Place it, breast down, in a large roasting pan. Pour any marinade remaining in the bowl over the chicken. Add a further tablespoon of olive oil. 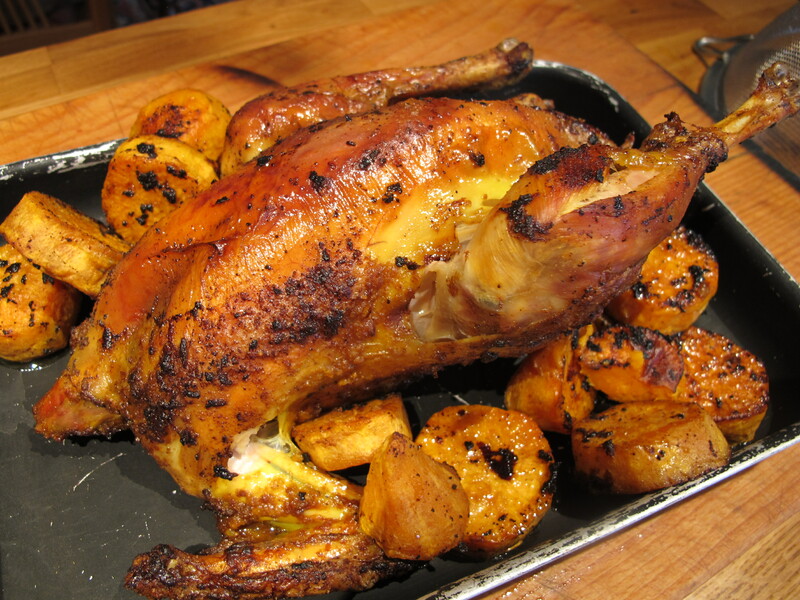 Roast for 3/4 of an hour–basting it from time to time with the juices. Turn the bird over for the remaining half hour. Let the chicken rest while you make a sauce from the juices. Tip the pan and spoon out all but a tablespoon of the fat. 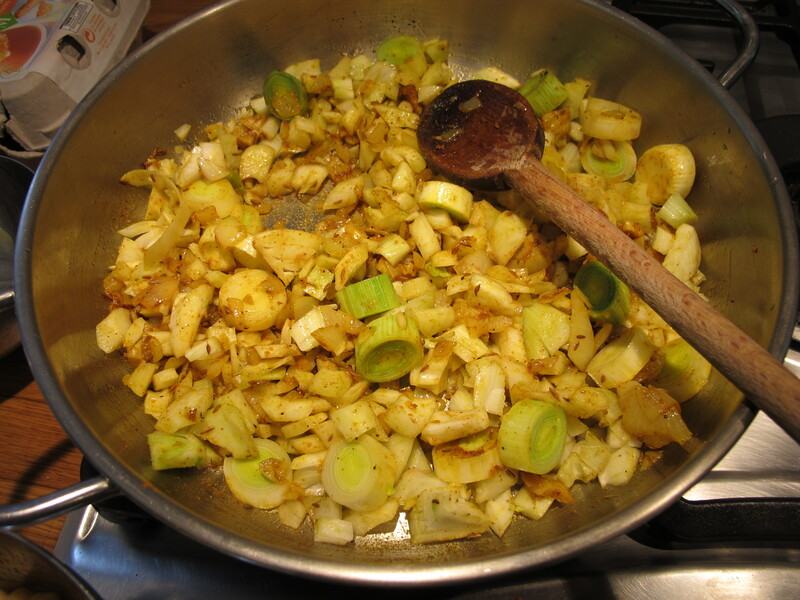 Add a glass of white wine and stir–dissolving the “bits” into a sauce over a low heat. A garlicky yogurt sauce goes well with it. Sam Talbot is a well known American chef in his thirties, working now in Montauk, Long Island. 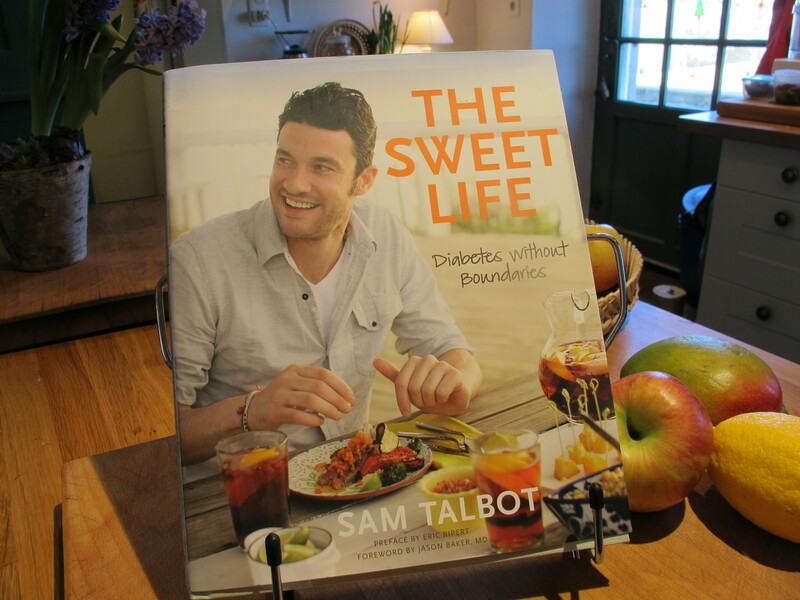 He has Type 1 Diabetes and has written a delightful cookbook illustrating the way he lives, eats and cooks with a nicely ironic title–The Sweet Life. We vied for numero uno position in the pre-publication list in our category on Amazon. Well, I say vied— I made it once, I think! He raves about the increasingly popular South American grain, quinoa, saying he eats it at least three times a week. This seed, one of the oldest known grains, is a useful alternative to rice, takes less time to cook and is very easily digestible. It is grown high up in the Andes–and no one seems to agree on how to pronounce it! It serves as a plain canvas on which you can paint what you like. 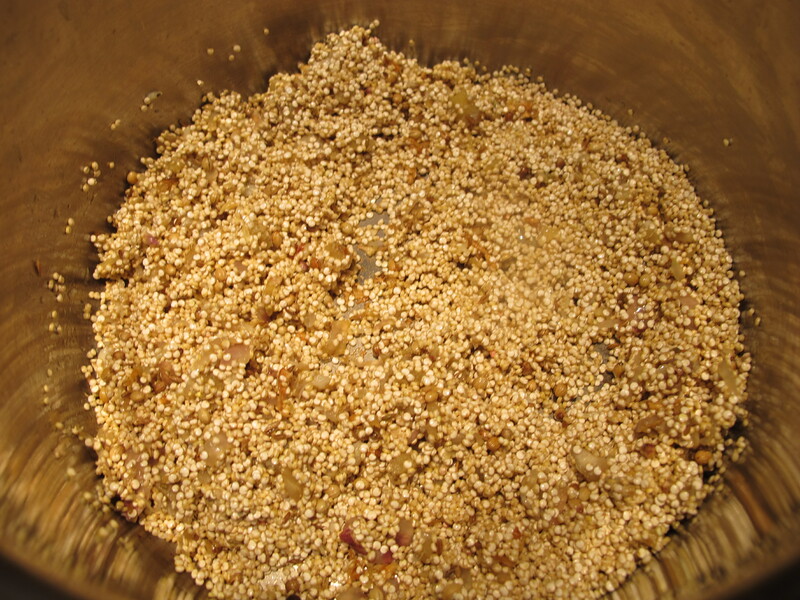 Here you can learn more about the benefits of Quinoa–perhaps more than you want to know! This is Sam Talbot’s recipe–slightly adapted; it’s delicious. 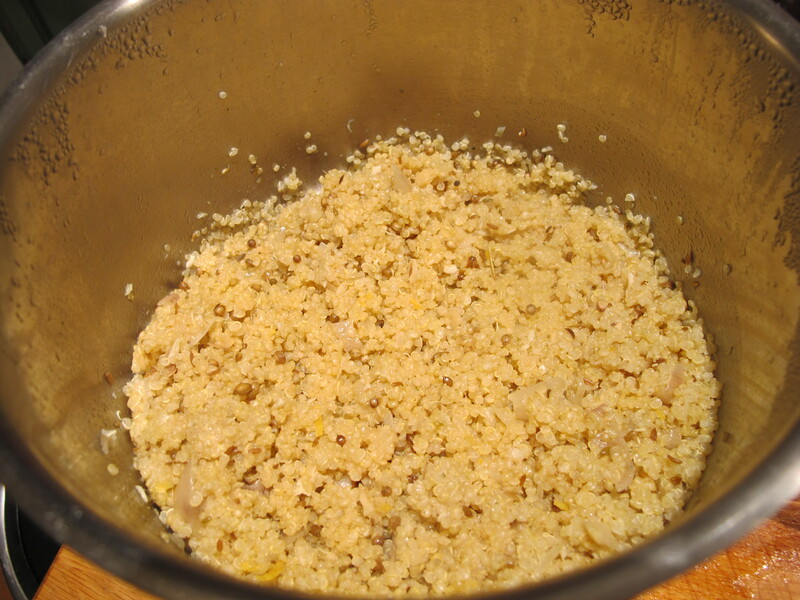 The amount of liquid required is double the volume of the quinoa–easy to remember! Heat the oil in a pan and sauté the shallot and the spices (coriander, cumin, ginger, garlic) for about five minutes to soften them. Add the quinoa to the pan and turn it over with the spice mix. 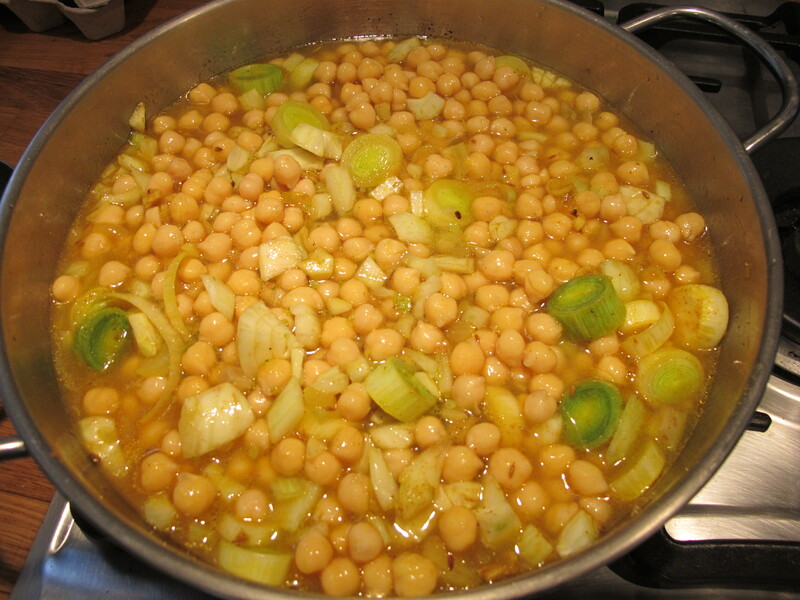 Add the stock, the lemon juice and zest and bring it up to a simmer. Cover the pan and turn the heat down low. Cook for about twenty minutes. Check to see how it’s doing after 15 minutes and give it a stir. 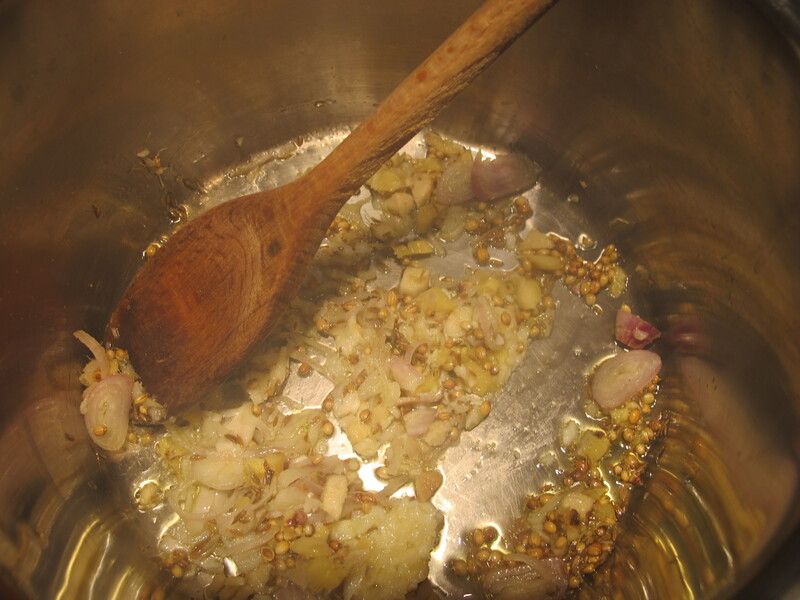 The grain should absorb all the liquid by the end of cooking. 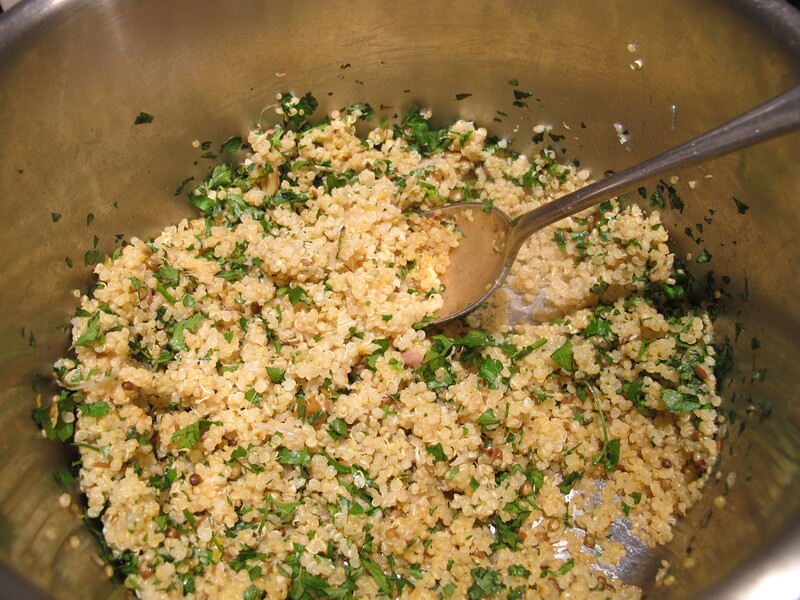 Sprinkle the parsley over and fork it carefully into the quinoa. Two friends came round for supper last night and I tried out a spicy chicken dish. It didn’t pass muster with Meredith and our friends were polite but didn’t exactly rave! I shall try again with it because it’s simple and quick–which of course could be the reason it was disappointing! I served a yogurt sauce with it, which is I think is useful and tasty. I noticed Meredith tucking into it this lunchtime with the fennel salad..! 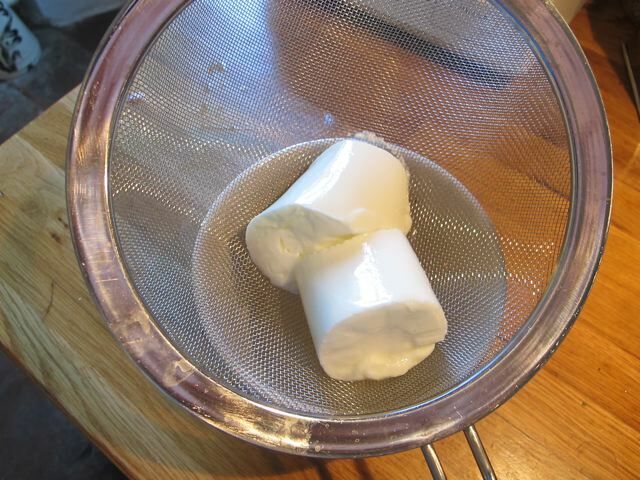 Whisk the yogurt smooth–(if you want to make it a bit thicker let it drain through a sieve into a bowl for half an hour or so). 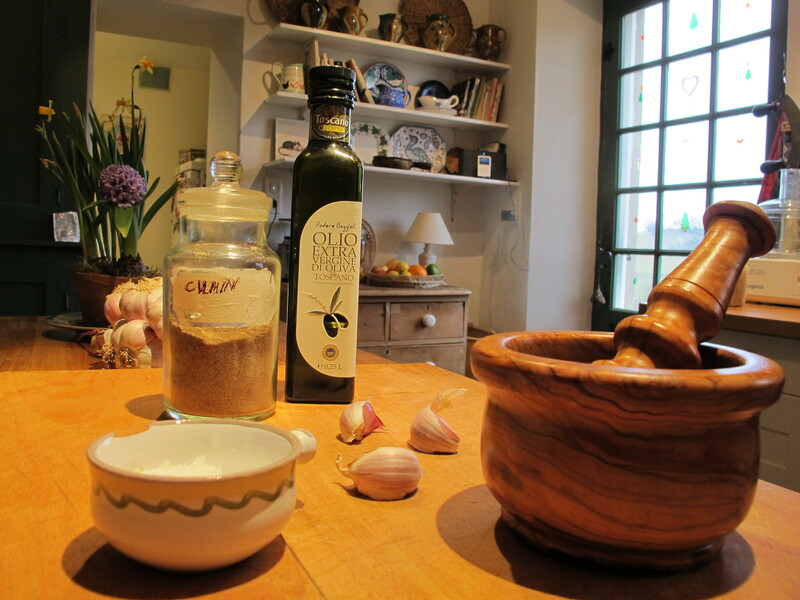 Pulp the garlic in the salt in a pestle and mortar. Add the cumin and mix it in thoroughly. Fold in the olive oil. Add this mix to the yogurt and whisk well in. Refrigerate until you are ready to eat. Garam masala–what exactly is it? Garam masala is an ingredient in the dal recipe I posted a few days ago (see Gentle Lentils) and was new to some people. 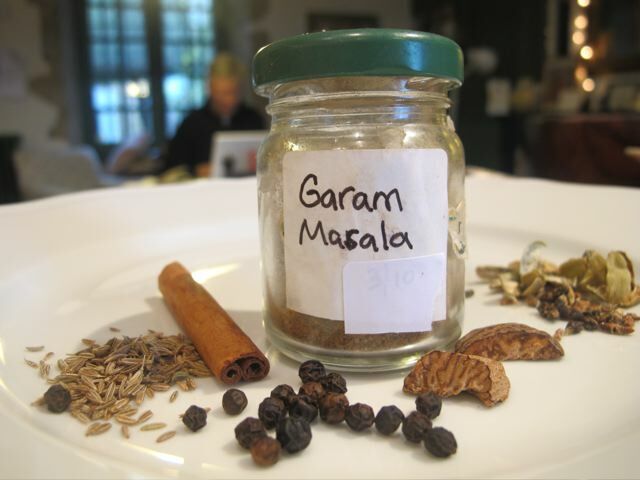 Garam means hot and masala means a spice mix. The “hot” is not a spicy hot but rather a heat that warms the body (in principle). I’ve learnt about this subtle and delicate flavouring mix from Kris Dhillon whose cookbook, The Curry Secret, is from the same imprint as Delicious Dishes for Diabetics–i.e. Right Way). Garam masala is usually added towards the end of the cooking process; it can also be sprinkled over cooked food to enhance the flavour. It is a mixture of spices that has infinite variations. You can buy it (just as you buy curry powder) or you can make your own. 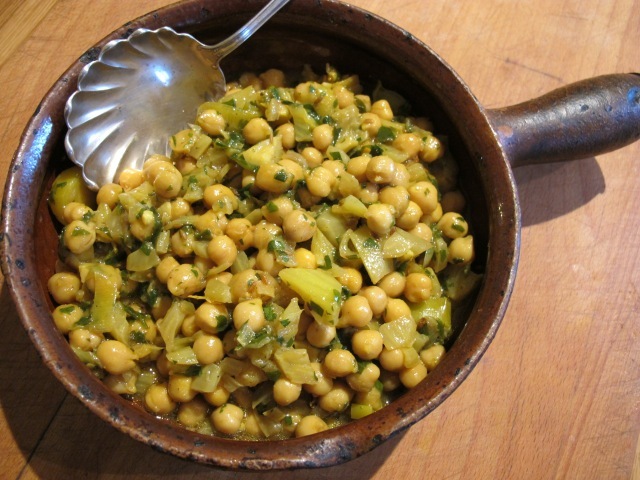 This version is from the wonderful Indian actress and food writer Madhur Jaffrey, author of Indian Cookery. Whizz the mix to a fine powder in a spice or coffee grinder. We had these last night with quinoa, plain green beans, and garlicky yogurt sauce. 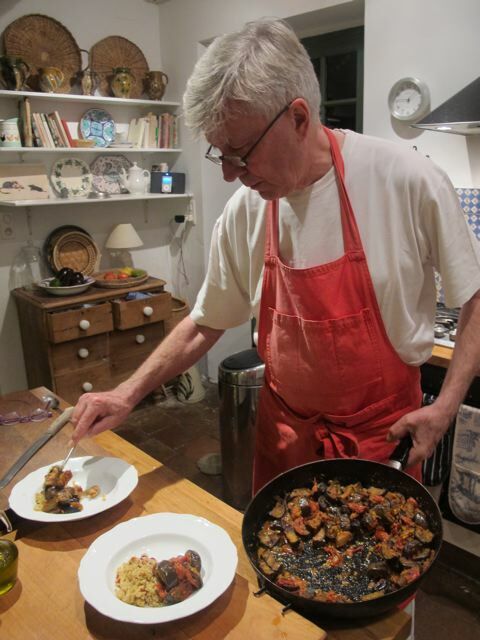 It’s adapted from a recipe by Rick Stein–known as the uncrowned king of Cornwall. 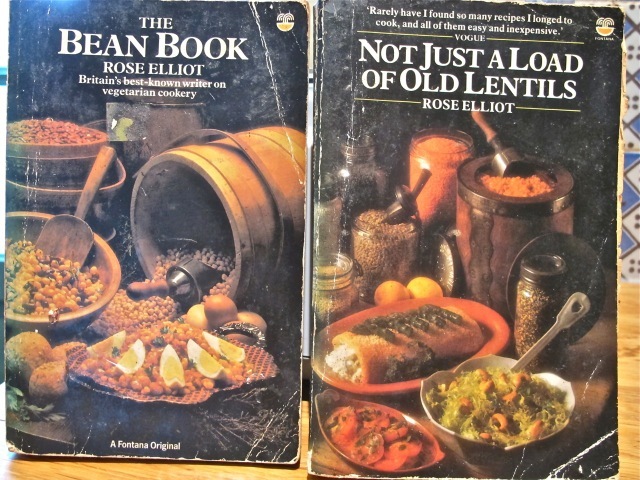 When we were filming Poldark in Cornwall 35 years ago, eating out in the county was very different from what we experienced last weekend and Rick Stein has a lot to do with it. His fish restaurants in Padstow have set a benchmark. Things have improved! We tried to reserve a table at one of Rick’s places a couple of weeks before our trip but they were all booked–sad for us but “Hooray” for Cornwall! 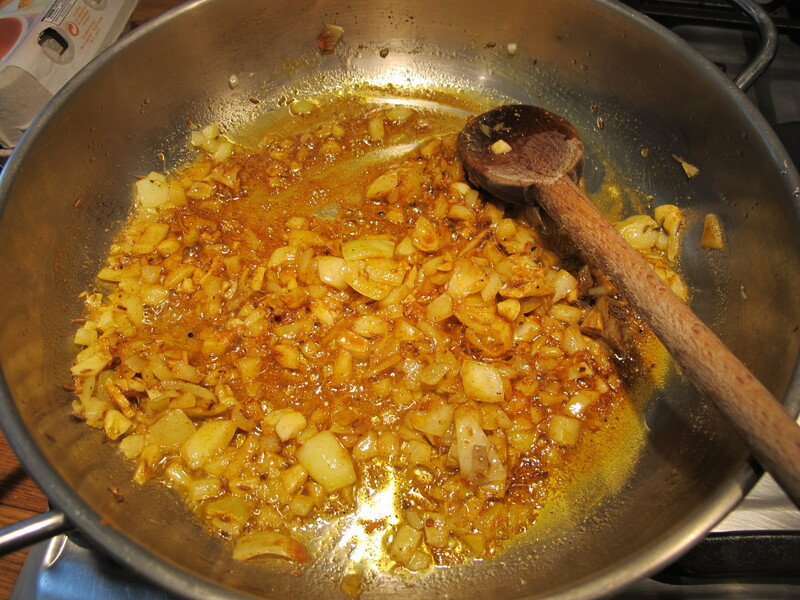 whizz the ginger and garlic in a tablespoon of water to form a loose paste. 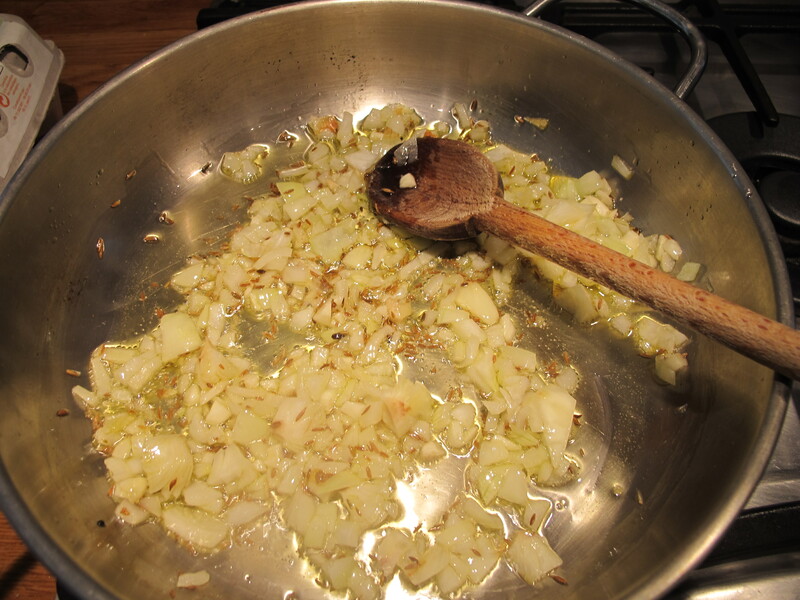 heat a tablespoon of olive oil in a large sauté pan that you can cover. 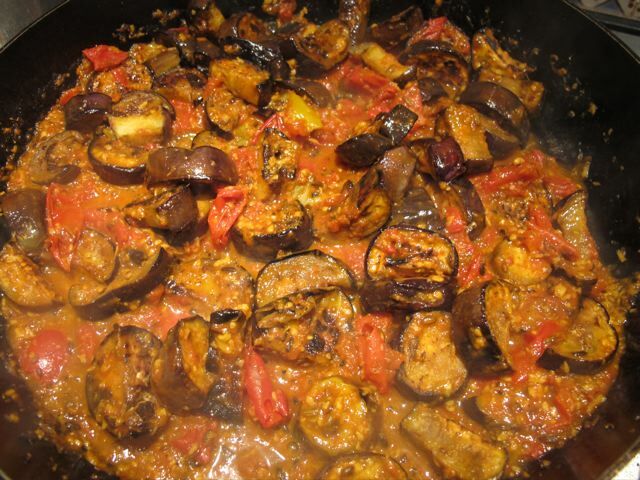 when hot, add a single layer of the dry aubergine pieces. 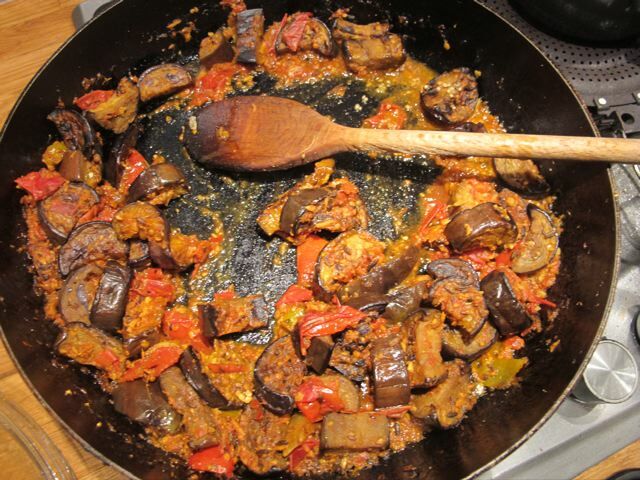 continue the process until all the aubergine pieces are cooked, adding more oil as needed. let the pan cool a little before heating two tablespoons of oil and adding the fennel and cumin seeds. let them colour for a few seconds before adding the ginger and garlic paste. cook this gently for a minute or two before adding the coriander, turmeric and chili powder. 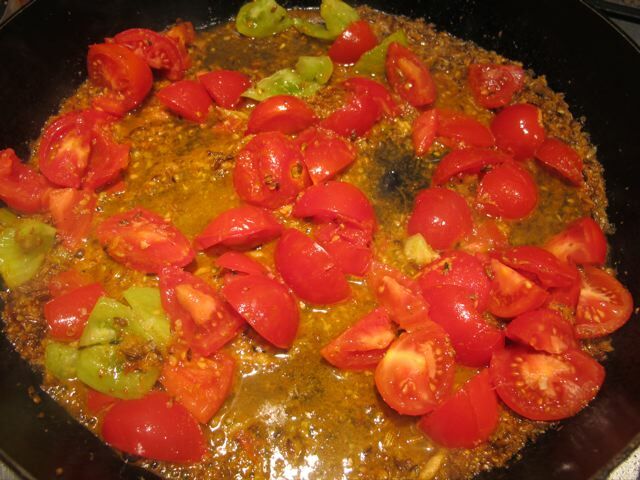 cook this gently for a minute before adding the tomatoes and the extra water. turn the lovely looking mix over and cook on a low heat for ten minutes to form a sauce. add the aubergine pieces turning everything over thoroughly before covering the pan and cooking for a further 5 to 10 minutes. 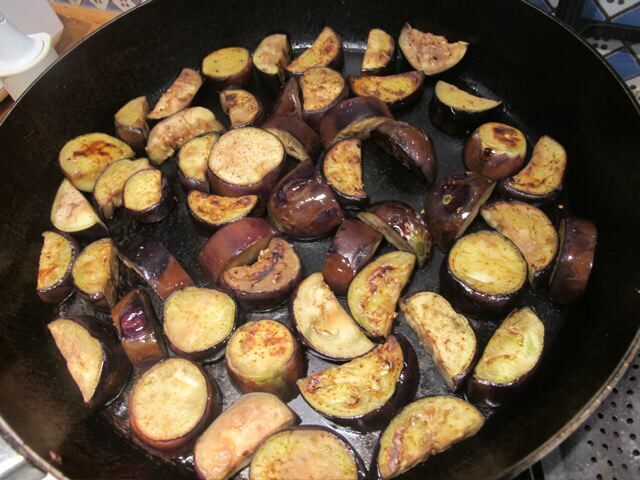 test the doneness of the aubergines, cooking them a little more if necessary, adding a little more water if needed. check the seasoning and sprinkle some chopped mint, fresh coriander, or parsley over the dish before serving.